I’m usually such a procrastinator that it seems almost unrealistic that I’m thinking about holiday cards at the end of October. I guess the fact that I had such a good experience with Shutterfly last year for my holiday cards helps, and since they offered to do a giveaway with me that really gets me to move. 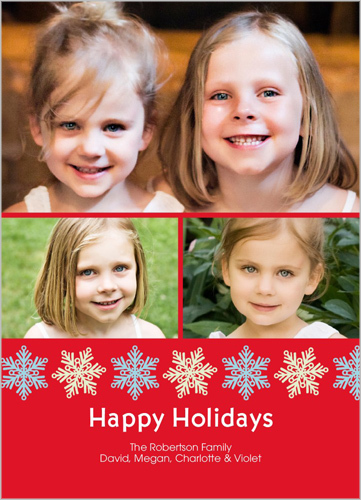 I love everything about the whole process of making and sending out holiday cards. I love finding Lily the perfect outfits, I love setting up a great holiday backdrop, whether it be a tree and presents or something more outdoorsy. I love getting Lily to play and have fun, especially in a way that makes for great pictures. I really love finding my favorite pictures and then finding the perfect card to show them off. I also like cards that have a number of pictures on them. I guess I just like being able to see a lot of Lily pictures. I try to stay away from cards that say “Merry Christmas”. My Mom celebrates Yule, so she doesn’t really like getting Christmas cards and for me the card is more about the Holidays as a whole more than Christmas anyway. I think those are pretty much my rules for cards, they aren’t hard and fast, but they are my guidelines. 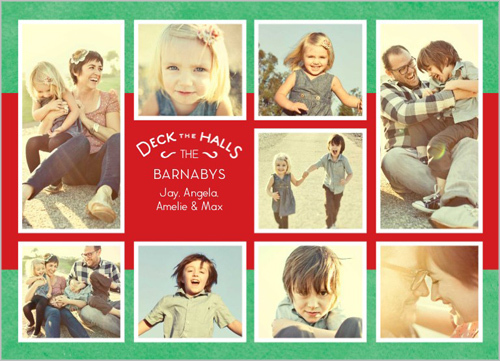 One of the things that I love and hate about Shutterfly is that they have such a huge selection of cards that it’s hard to narrow them down to “the one”. For right now I think I this is “the one”, but we’ll see how things look tomorrow. 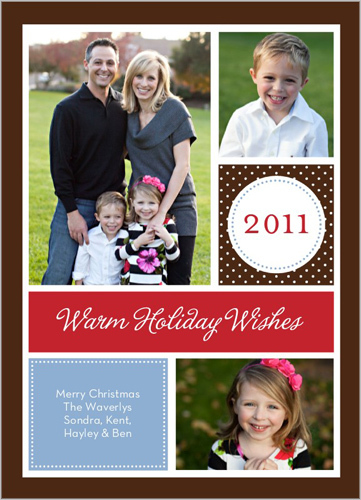 Do you have any criteria for holiday cards that you use? Or just tell me Hi, or what you are making for breakfast. What ever floats your boat. The giveaway ends on I will use random.org to select the winners on November 11, 2011 at Noon. I’ll use random.org to select the winner and email them. Please be sure to leave me an email address. If the winner doesn’t get back to me in 3 days I’ll choose another winner. Open to US residents only. Sorry everyone else. 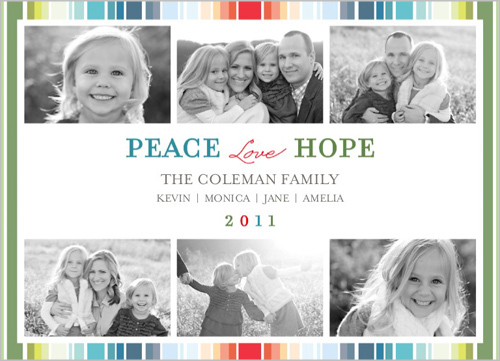 Disclosure: Shutterfly compensated me for this review, but all opinions expressed are my own. This entry was posted in Giveaway, Holidays, review and tagged Giveaway, Holidays, review. I get cards that mention Christ. I like very colorful cards. If they have a country theme it’s even better.